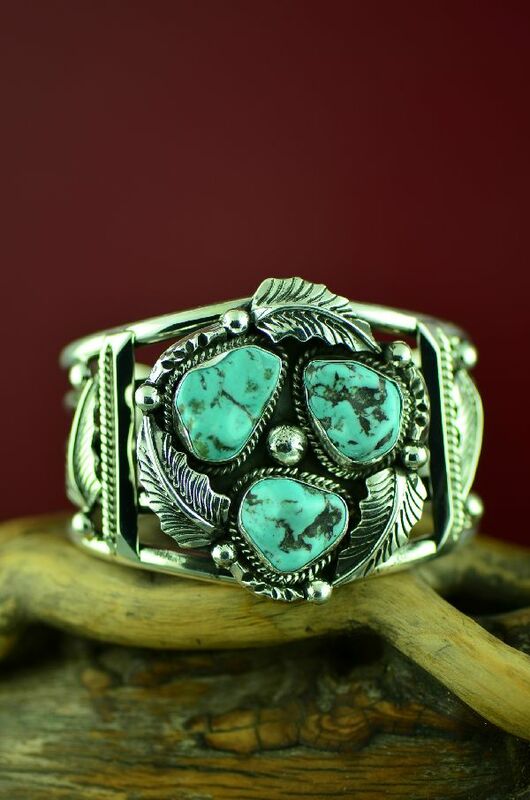 Are you looking for that stunning piece to add to your collection? Well look no further. 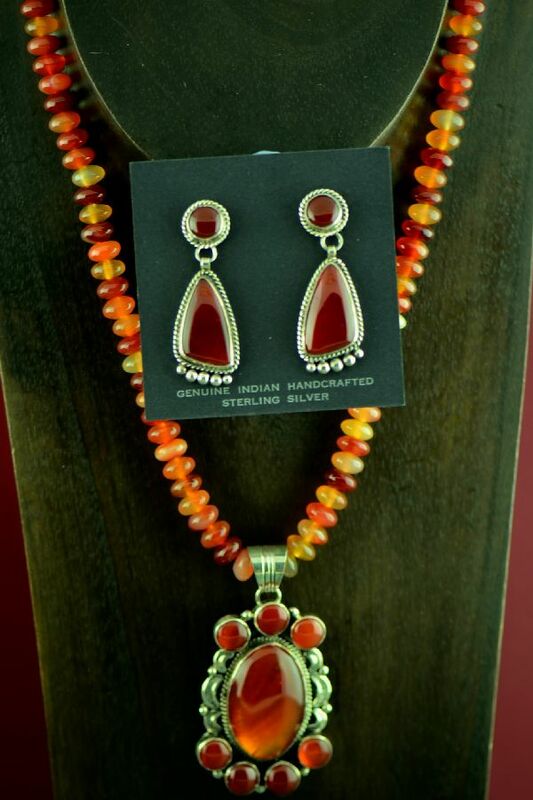 This phenomenal sterling silver Carnelian Set is handcrafted by award winning Navajo artist Will Denetdale. It comes from a Private Collection of work that has never been worn Will selected some the finest Carnelian stones to create this masterpiece. 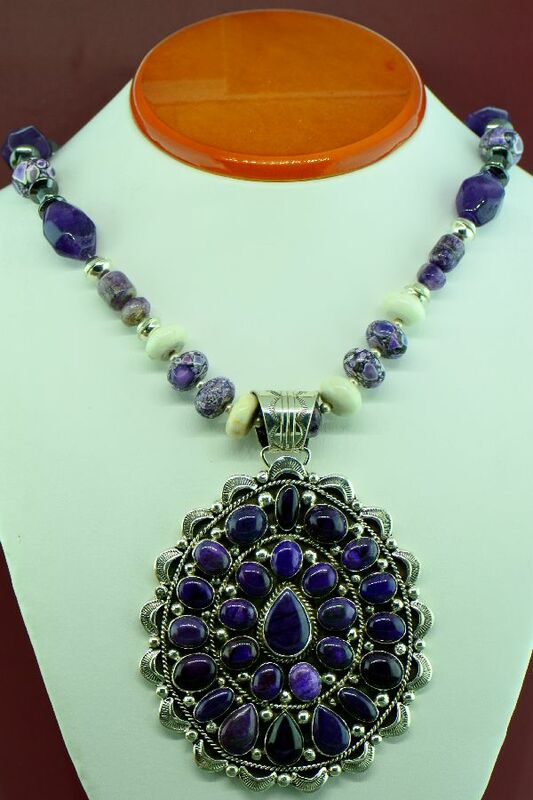 There are 7 stones in the pendant. The center Carnelian measures 1-1/4” tall by 7/8” wide and the 6 surrounding Carnelians measure 3/8” in diameter. 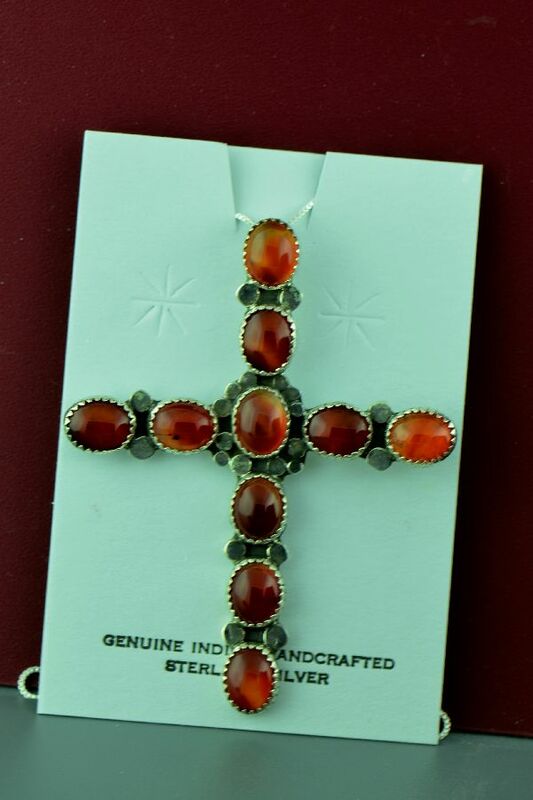 Each Carnelian is set in a smooth bezel surrounded by the distinctive design that the artist is known for. 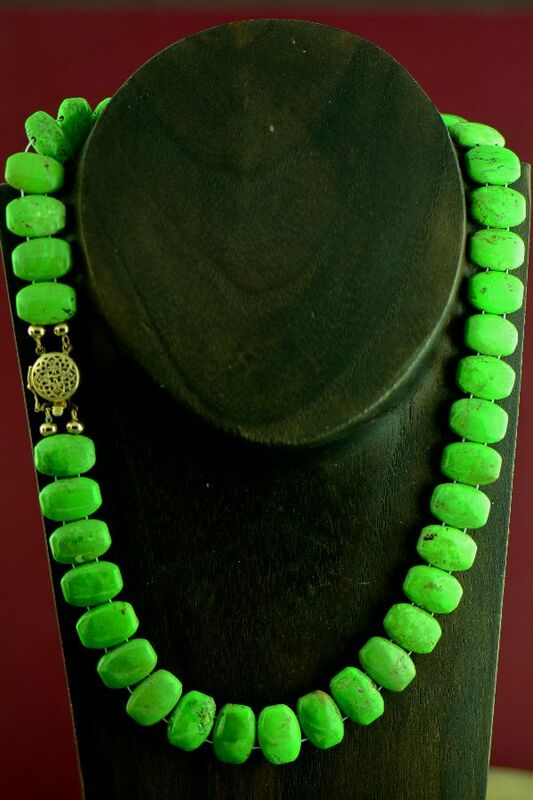 The overall size of the pendant measures 2-1/2” tall by 1-3/8” wide (including the bale). The bale will accept beads or chain up to 1/2 “in diameter. 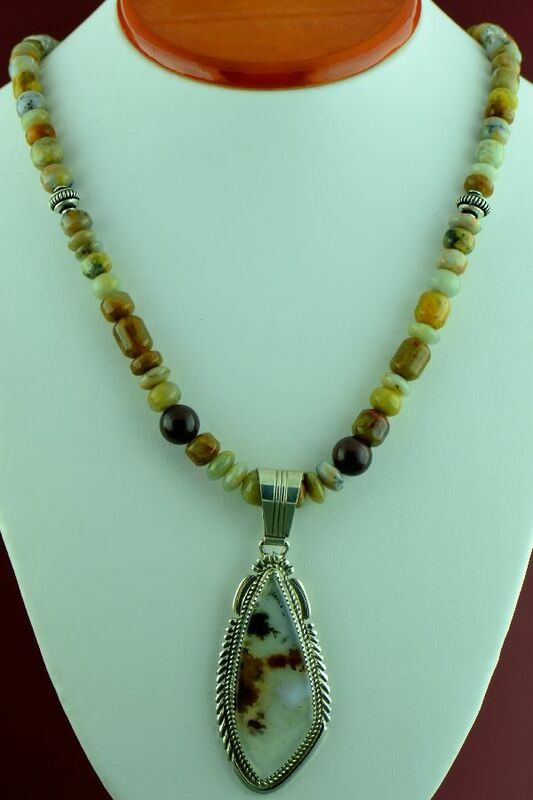 The necklace is 18” long and is finished with sterling silver cones and clasp. 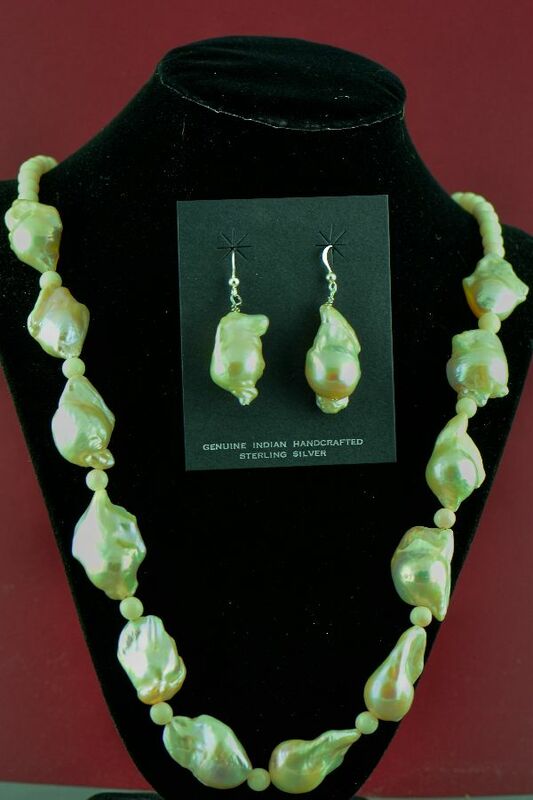 The matching earrings measure 1-7/8” tall by 3/4” wide. Signed by the artist. To learn more about Will, click on the Artist Bios page.